The end is nigh for the remaining Blockbuster video locations, as well as its DVD-by-mail business. In a press release Wednesday, Blockbuster owner DISH Network said the company will close about 300 corporate-owned retail stores and distribution centers. The release also said the Blockbuster By Mail service launched as a competitor to Netflix will end by mid-December. Blockbuster still will continue to offer on-demand and other streaming video options from its digital video library and the brand will still be involved with services offered to DISH Network subscribers. 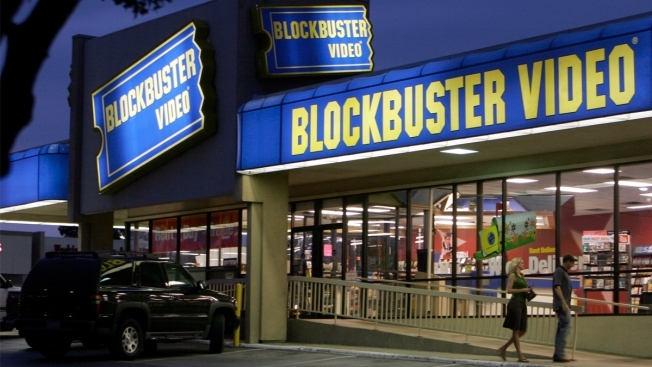 Additionally, franchised and licensed locations of Blockbuster will continue to remain open in the United States and abroad. The company did not mention how many of those types of stores are currently open for business. Fifteen locations in North Texas are expected to shut down. In Dallas, liquidation signs were already up Wednesday at the store on Lovers Lane and Greenville Avenue. The store is no longer renting and will close in early December. "It's kind of sad. They even have the displays and stuff, and you can buy all the posters. It's like they're selling the whole store," said Sheridan Taylor, who uses Redbox to rent new releases and Netflix to watch everything else. But the Blockbuster location in Pantego does not have any closing signs, and the store is still renting. An employee at the store said he just found out about the shutdown on Wednesday. John Eastman, who comes in every week, said the location has a group of 10 to 15 loyal customers who come in every week on Tuesday mornings. "I was here every Tuesday morning at 10 o'clock when they opened up to see what was the new ones coming in," he said. "I'm going to miss this store, and I'll miss this service, and it was good for me," he said.